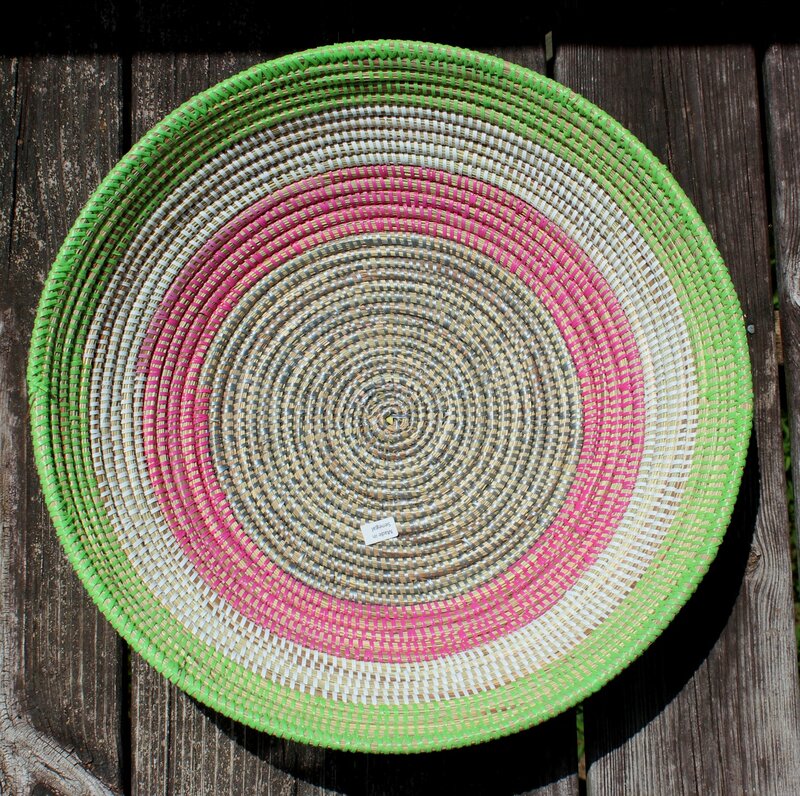 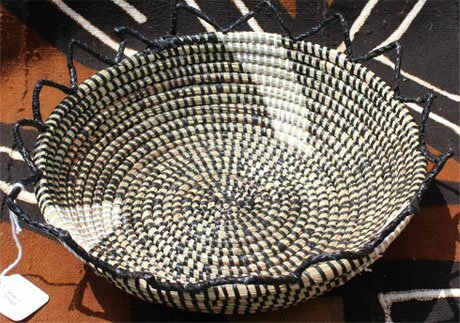 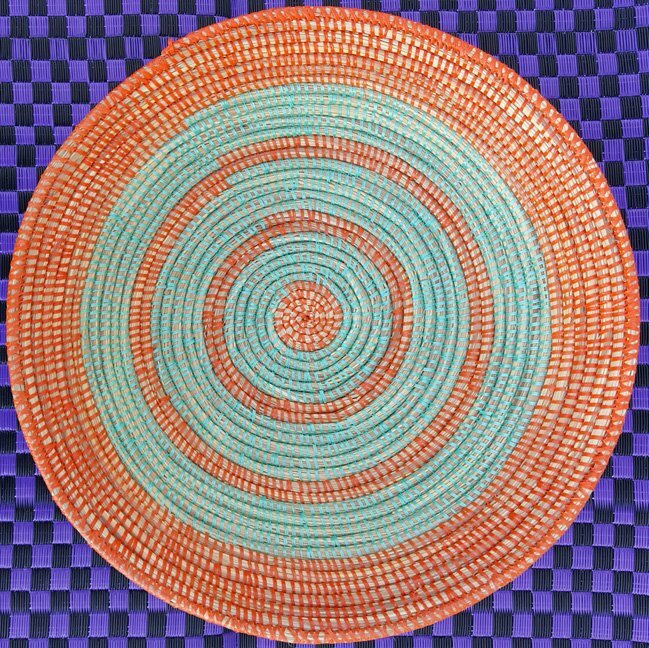 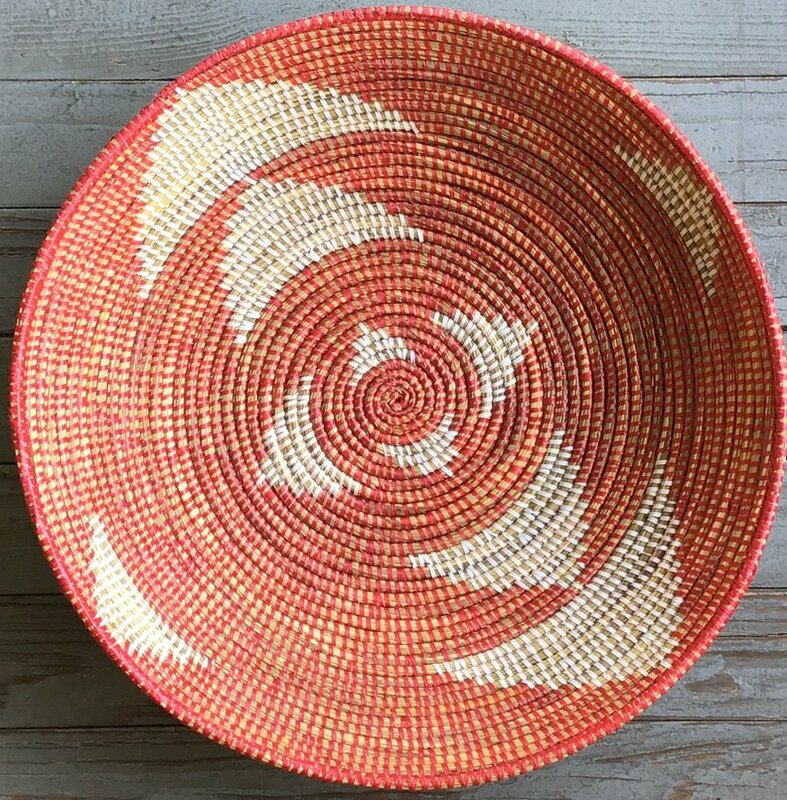 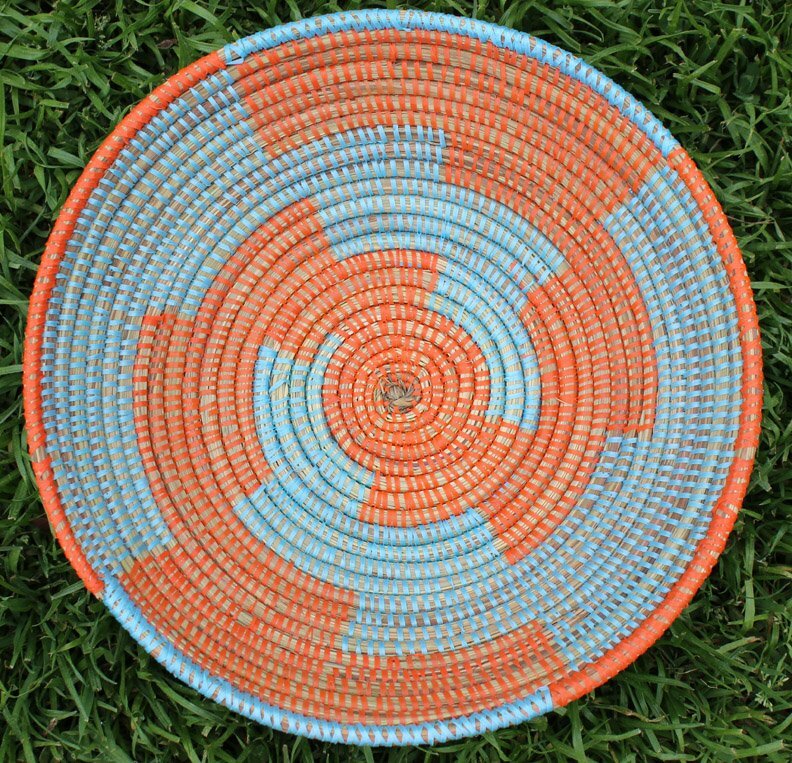 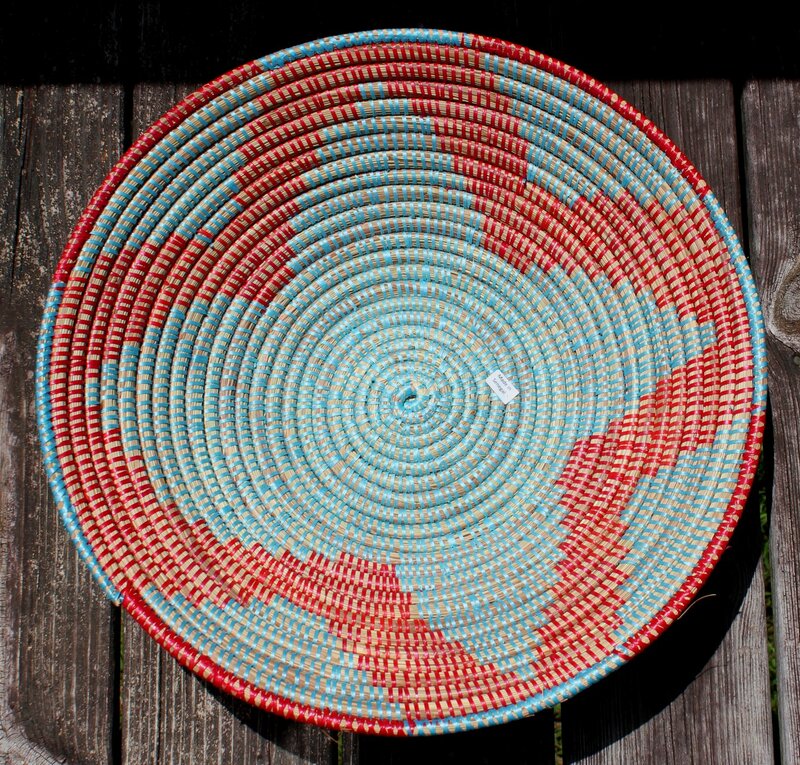 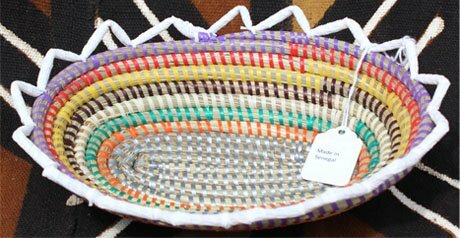 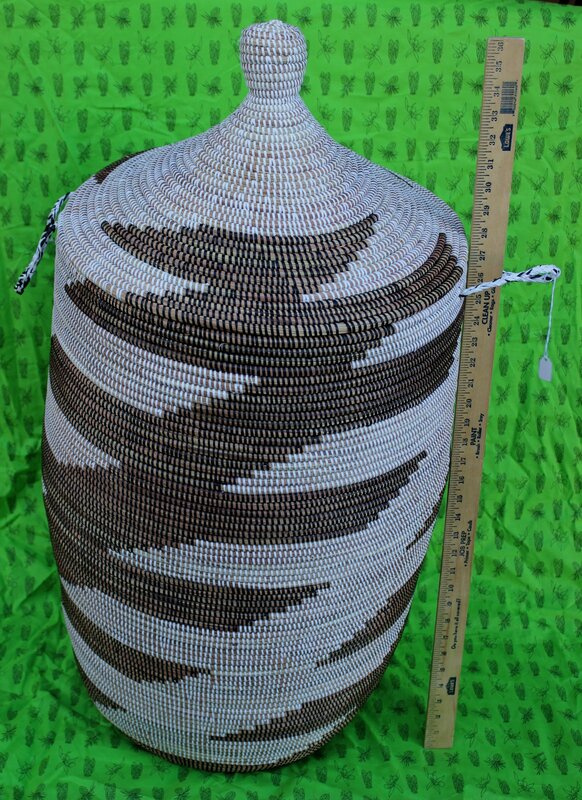 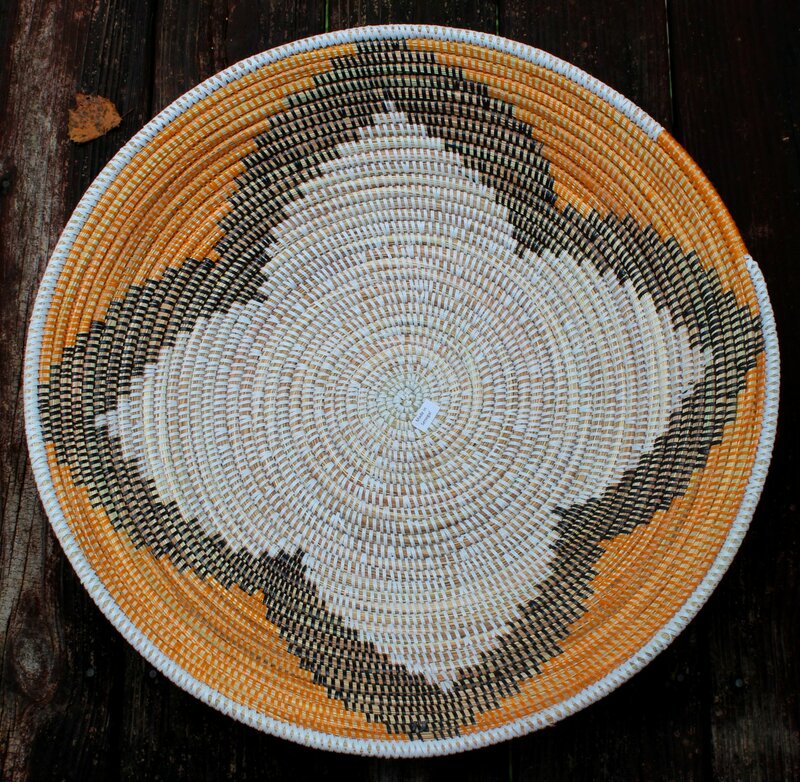 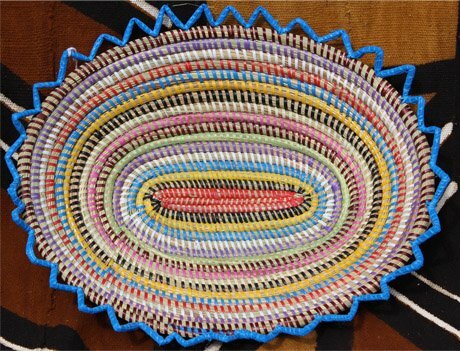 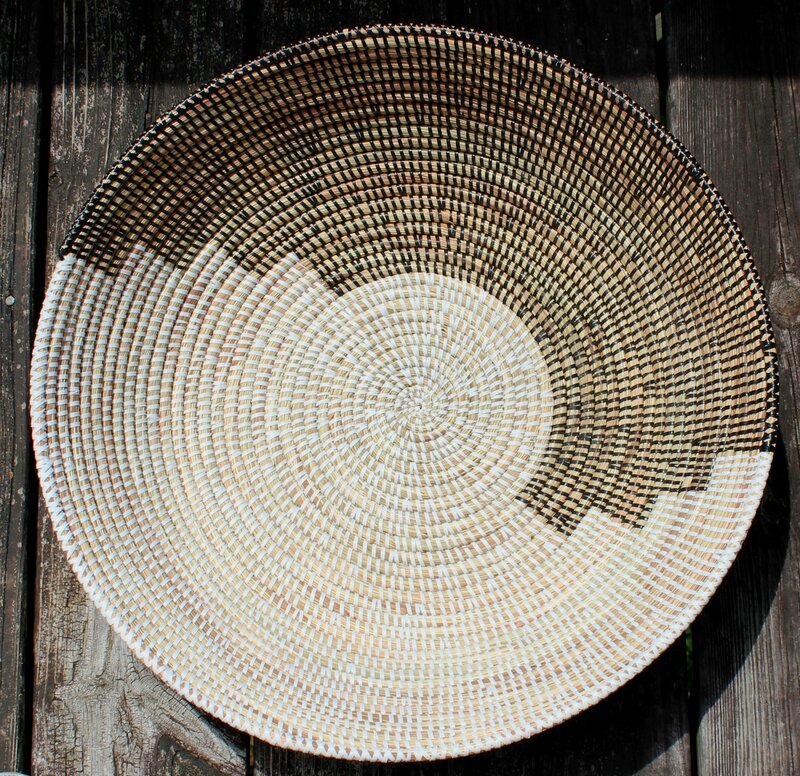 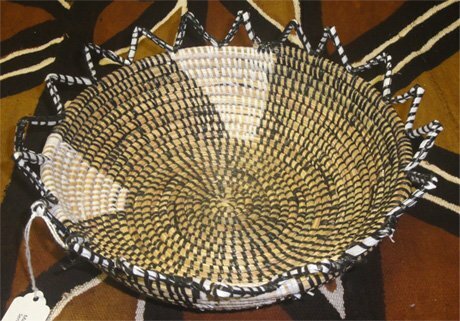 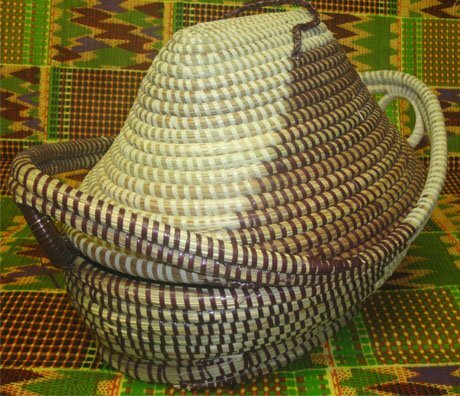 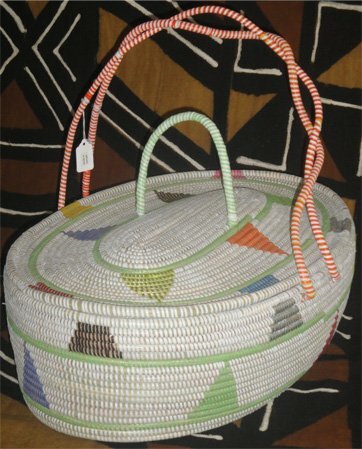 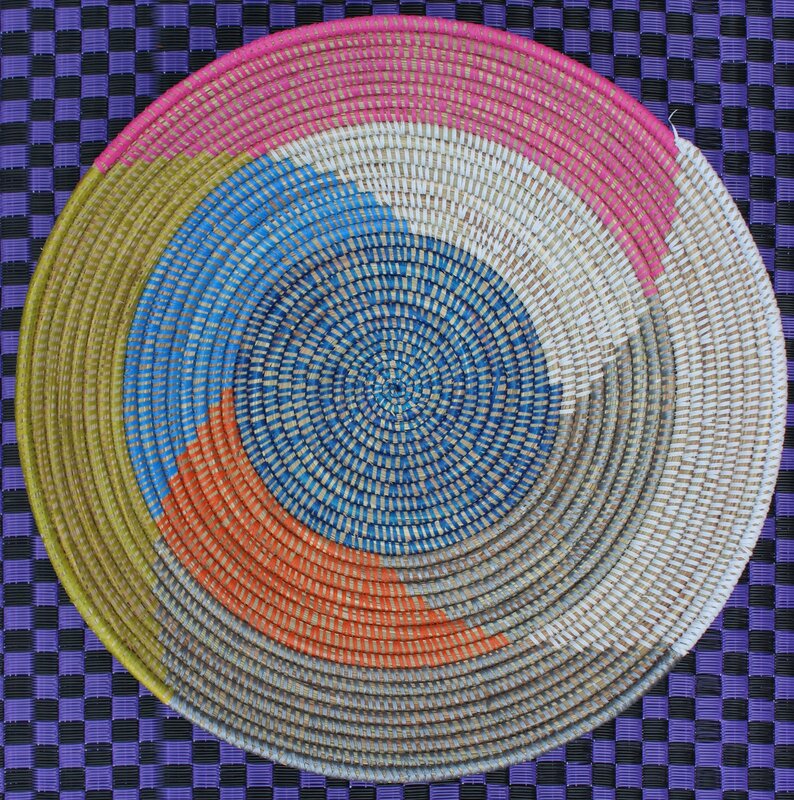 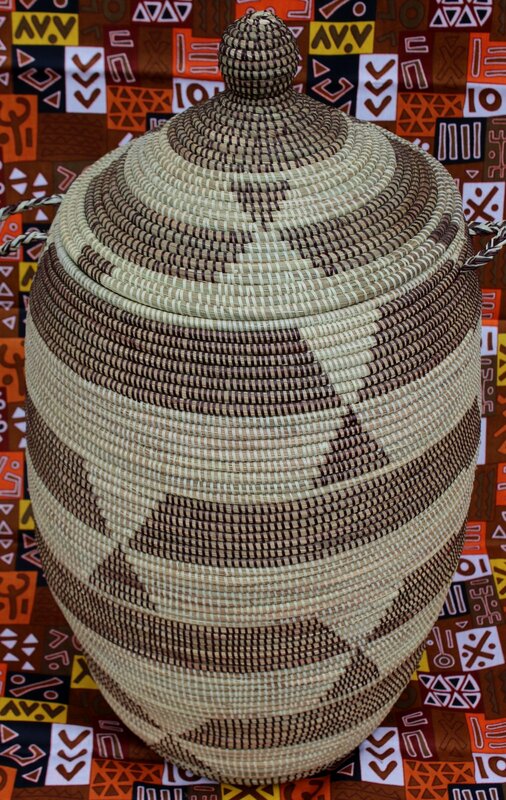 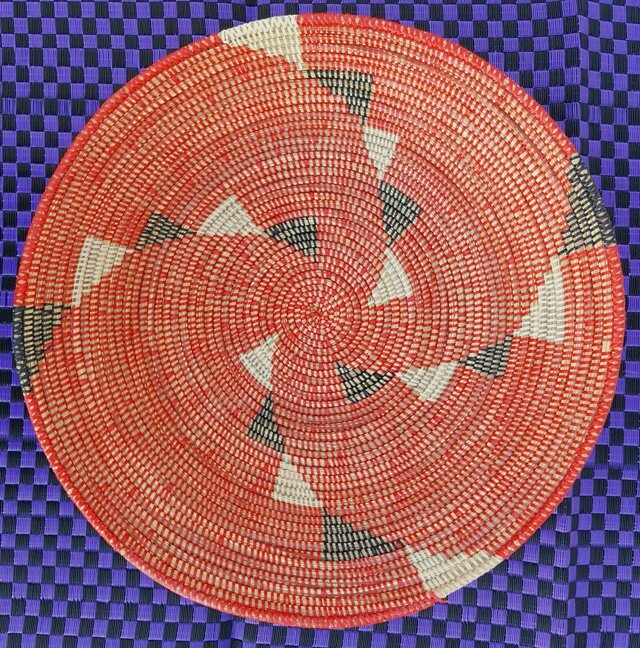 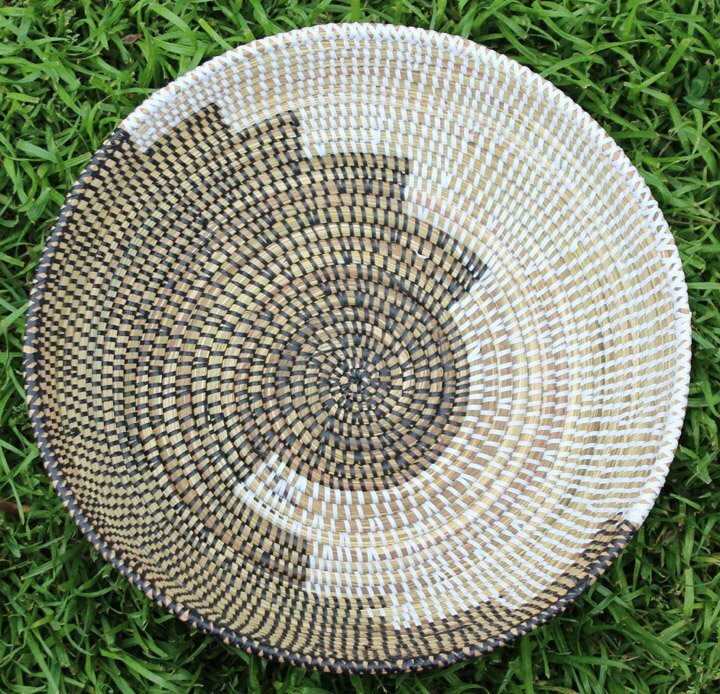 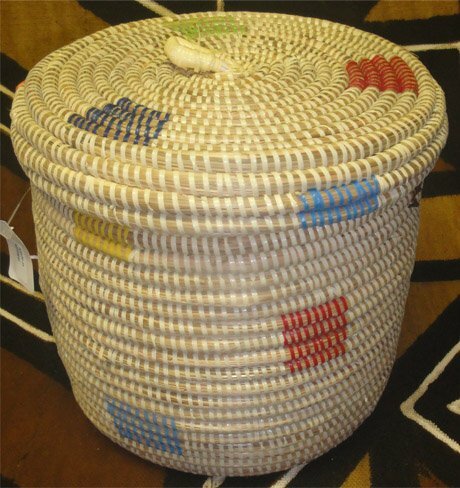 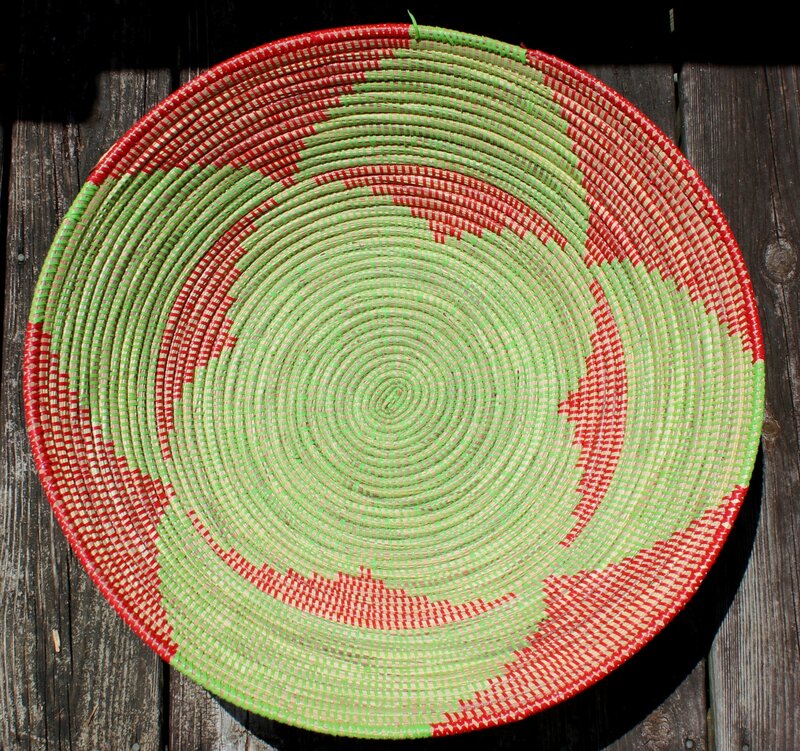 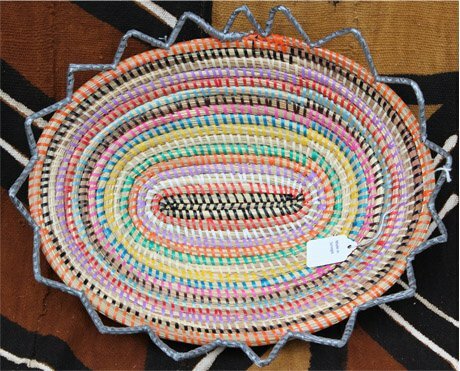 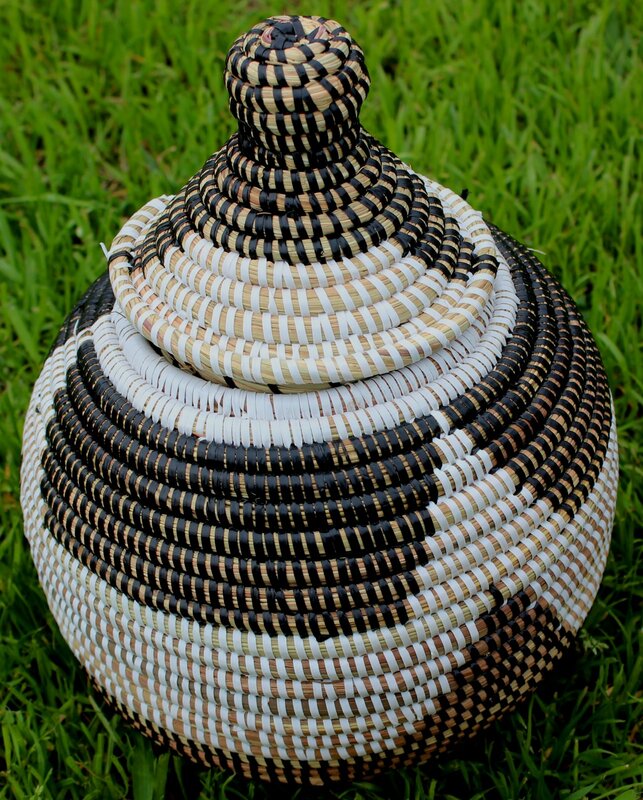 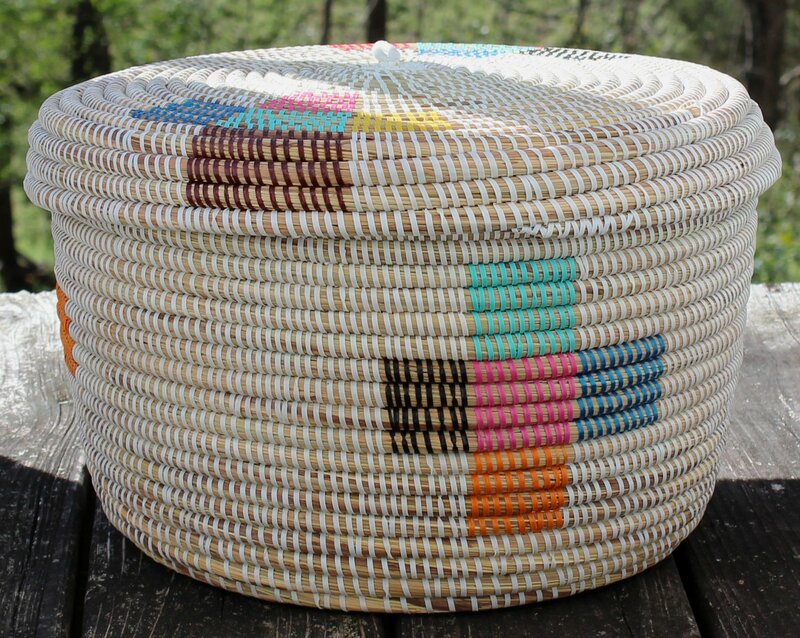 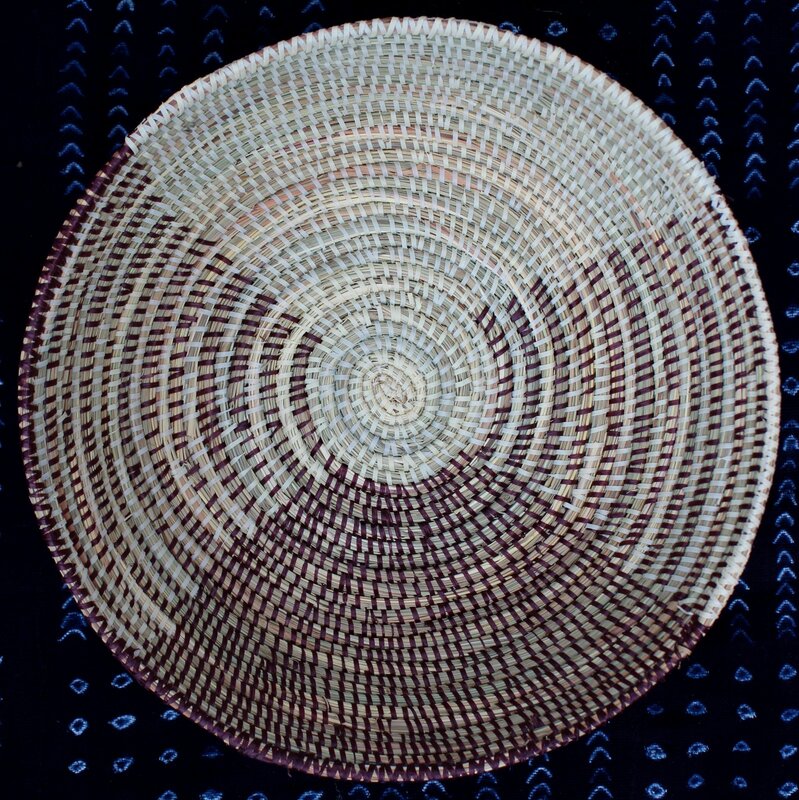 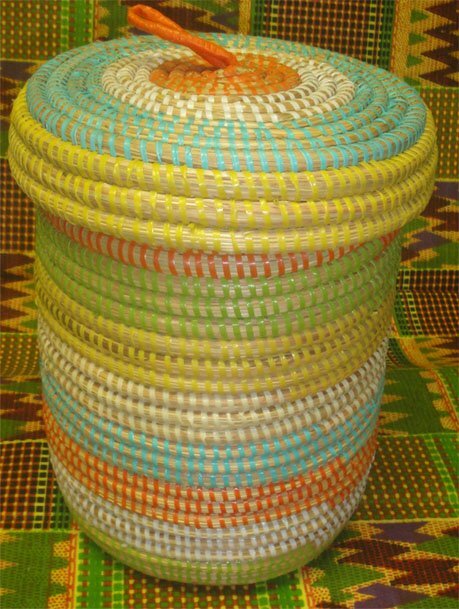 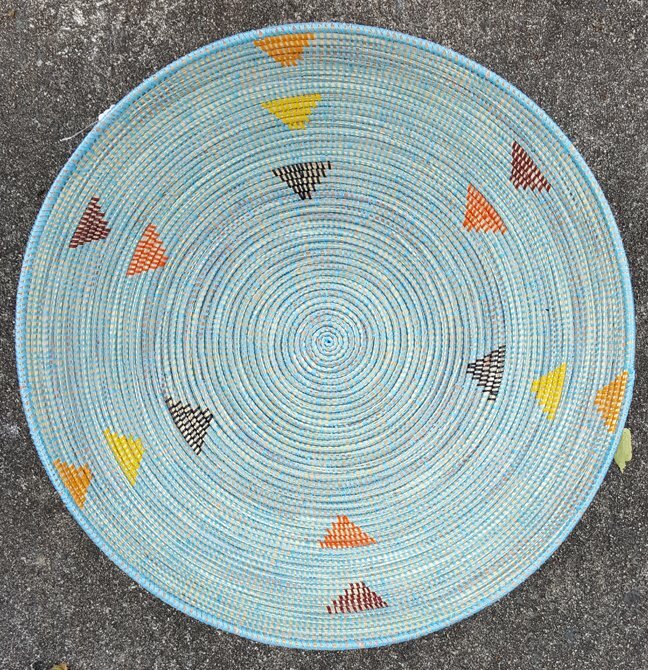 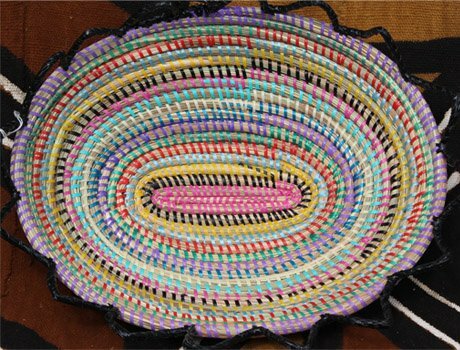 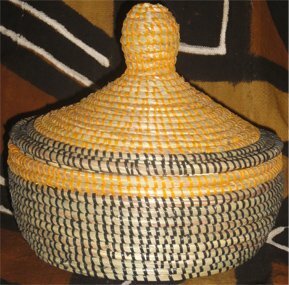 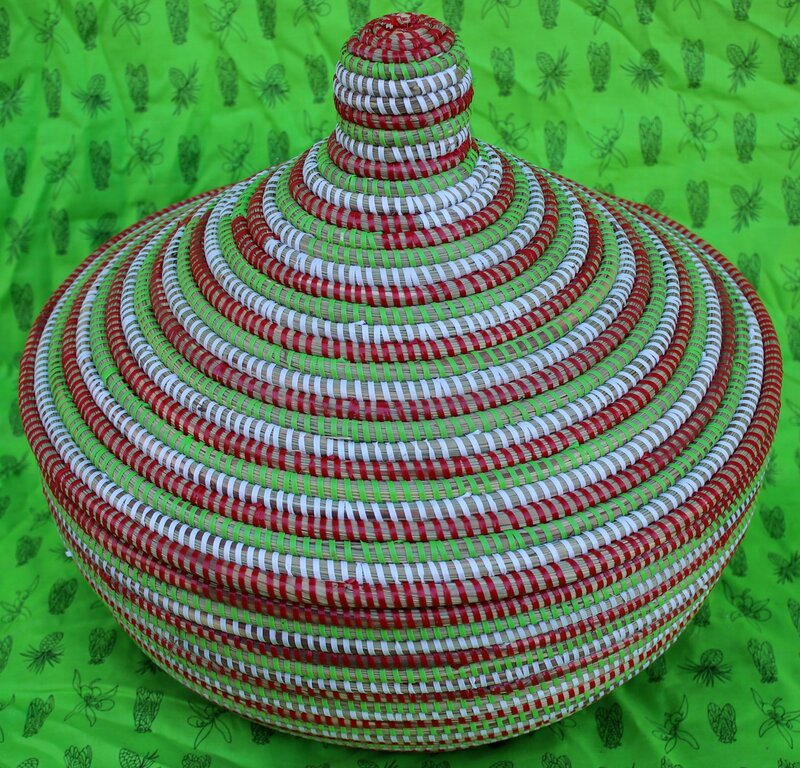 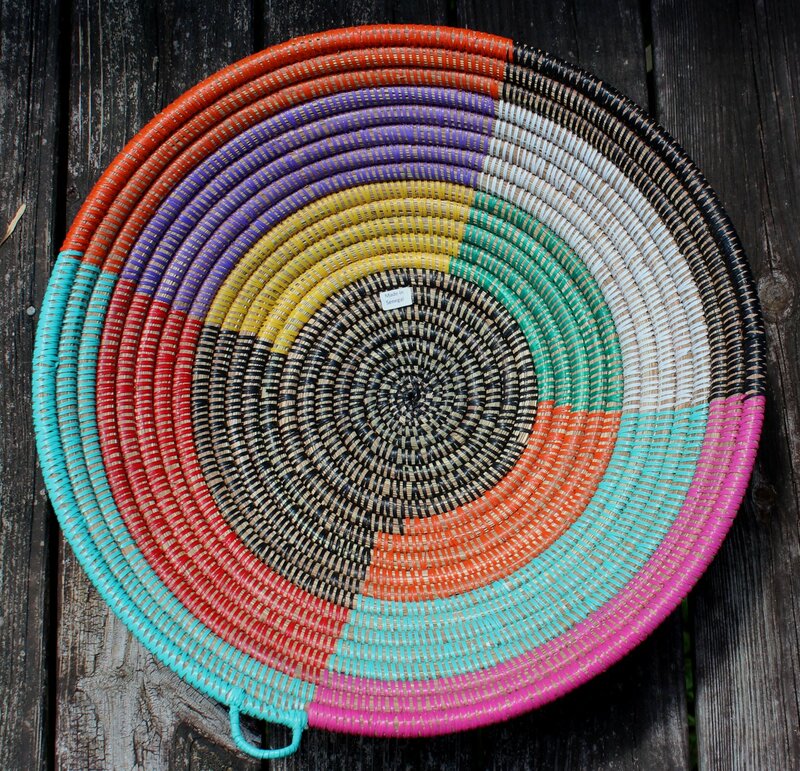 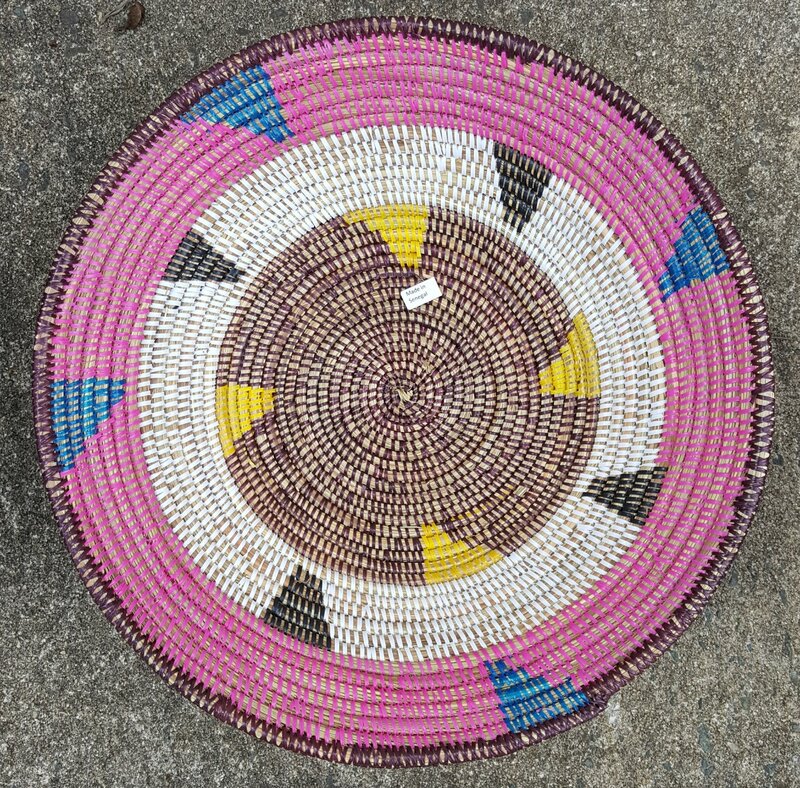 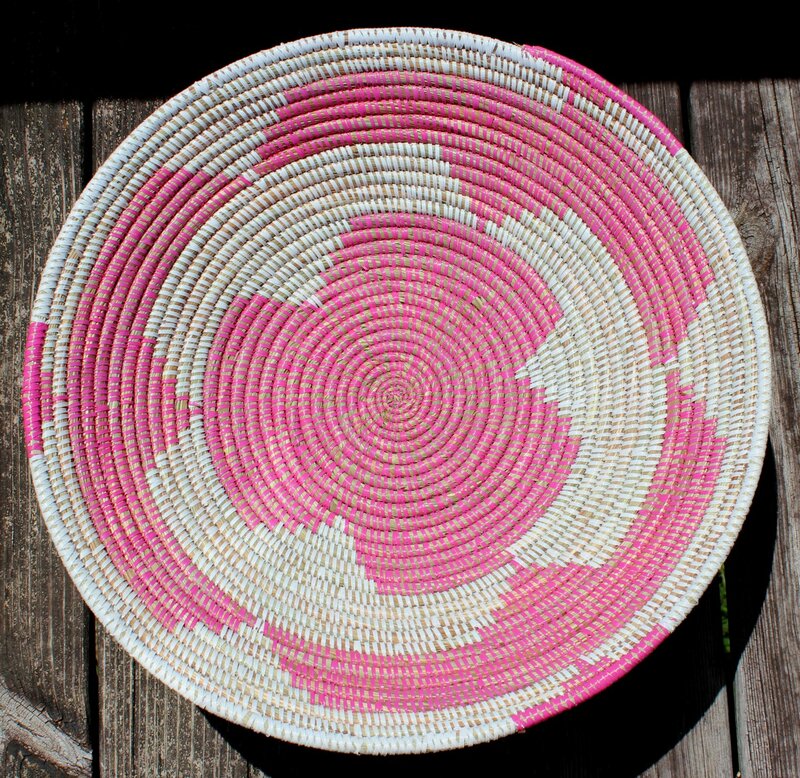 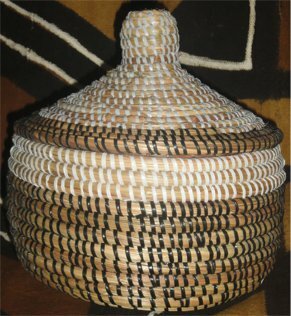 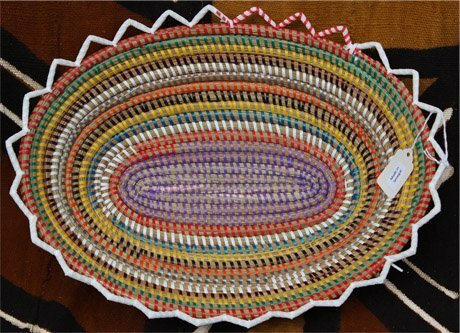 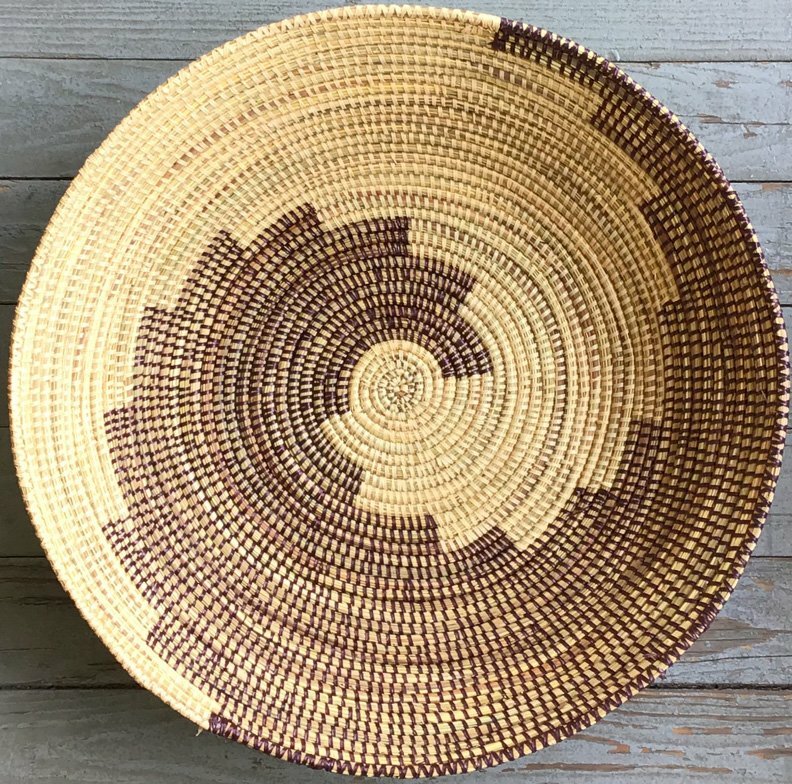 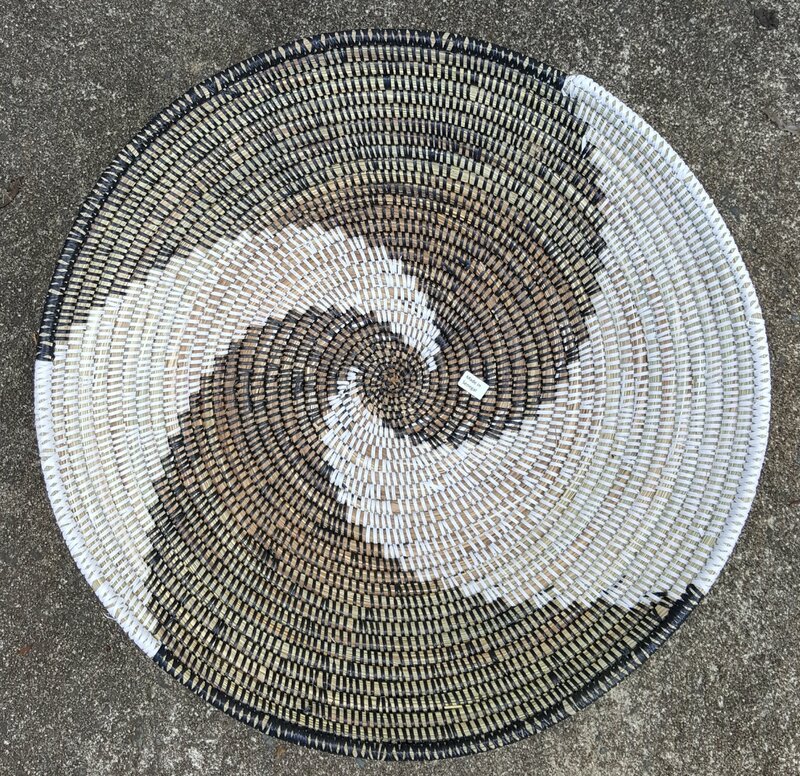 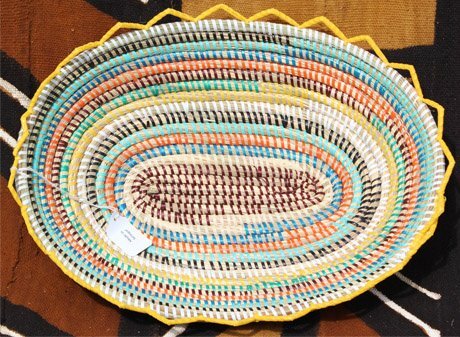 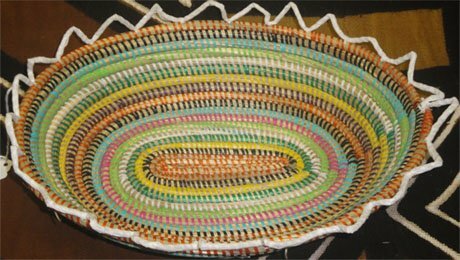 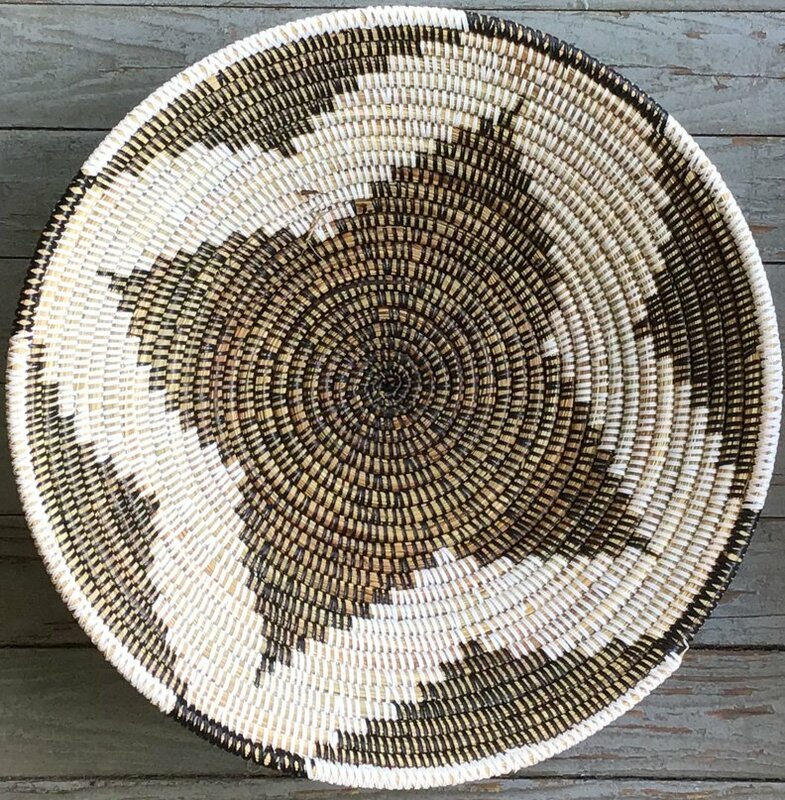 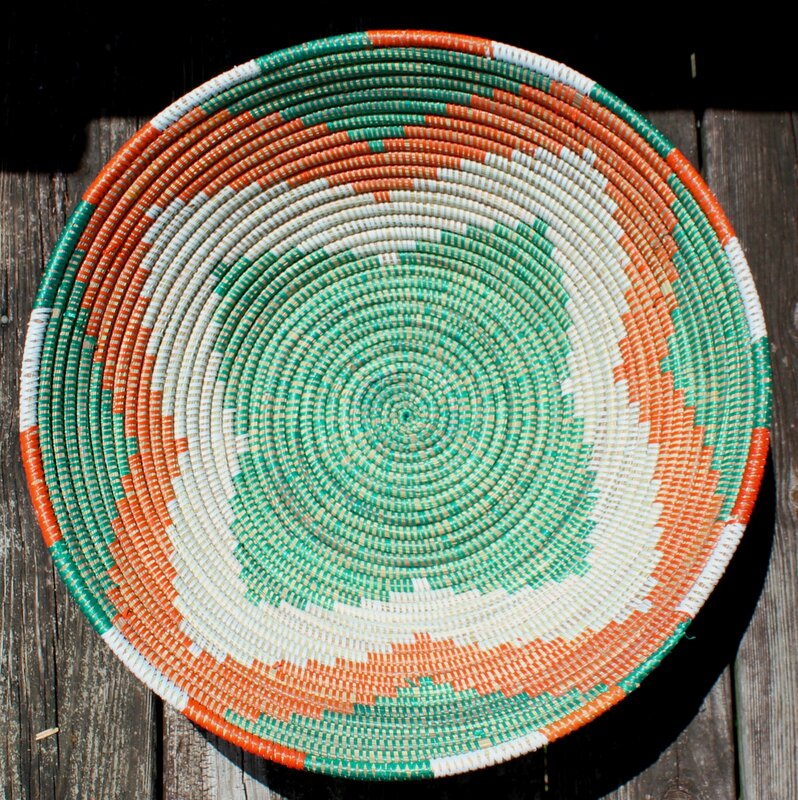 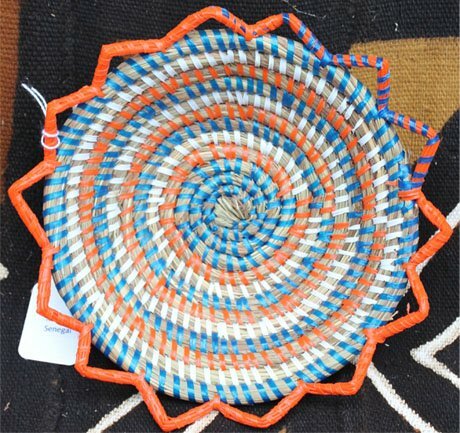 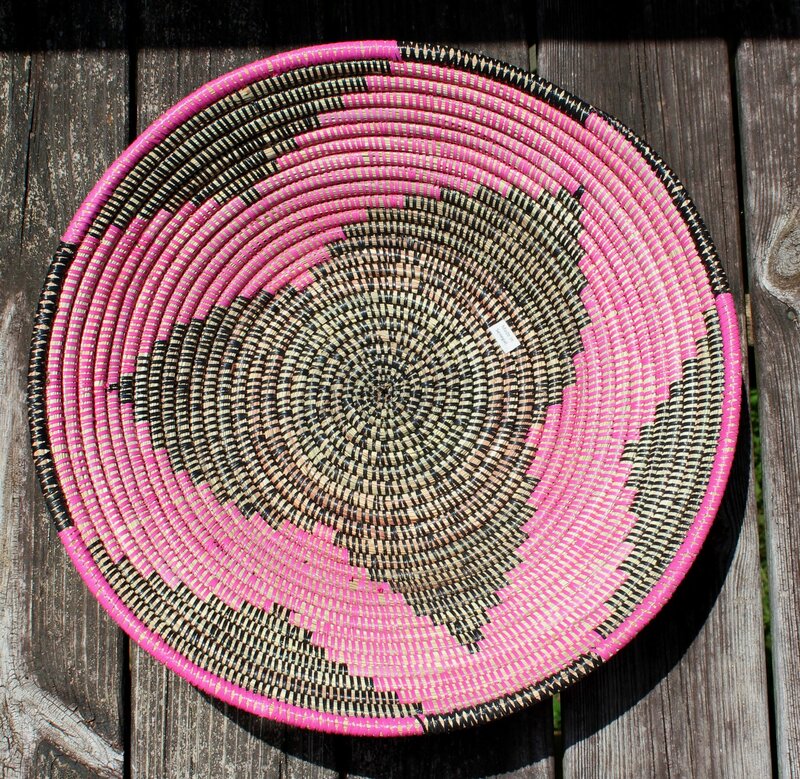 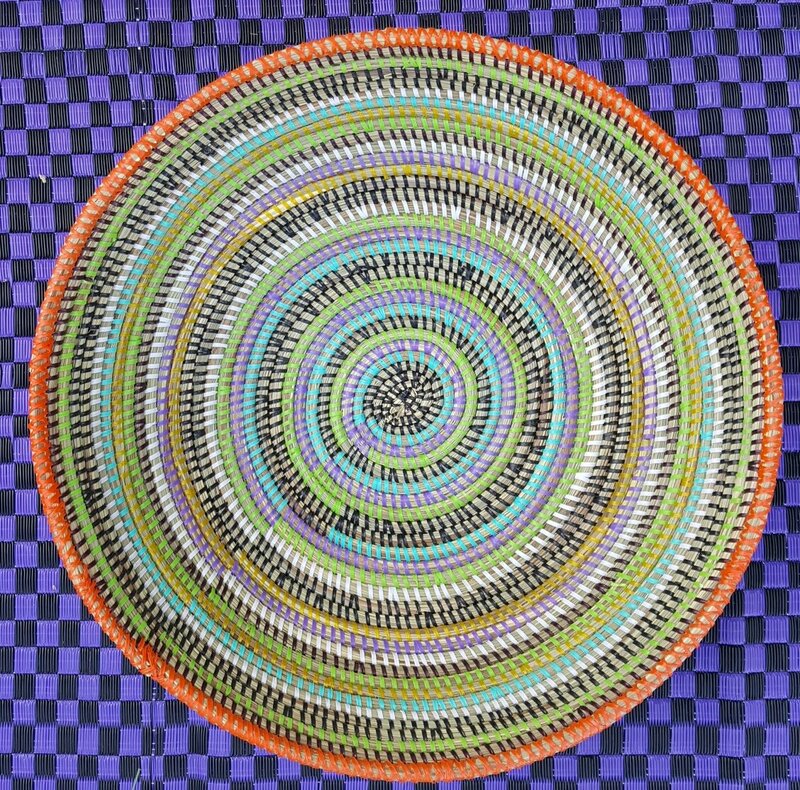 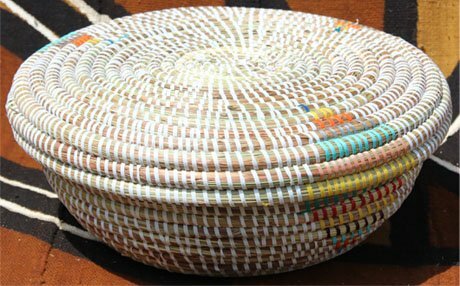 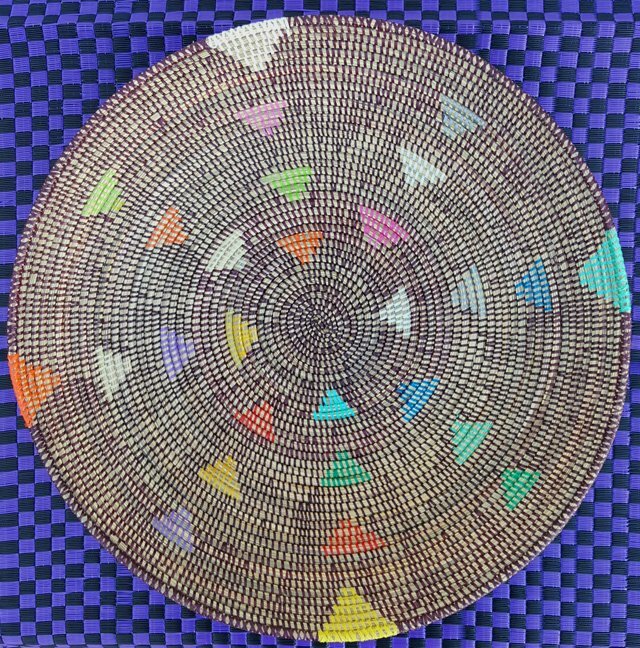 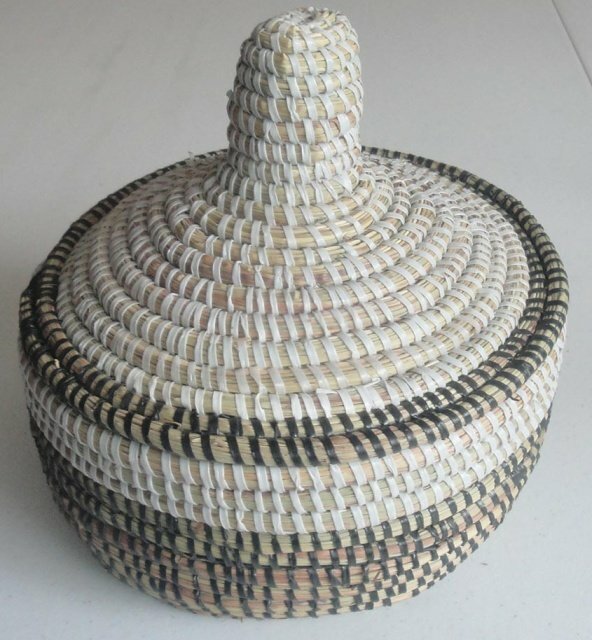 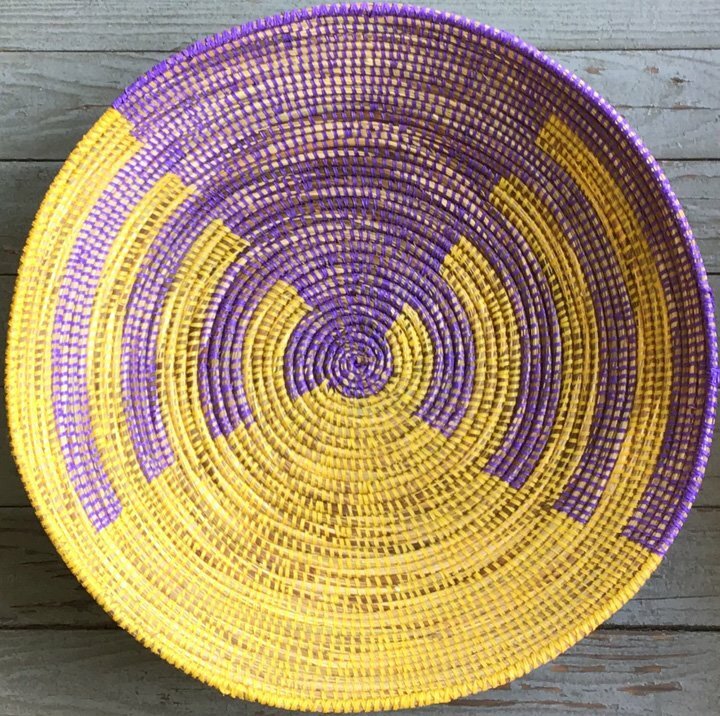 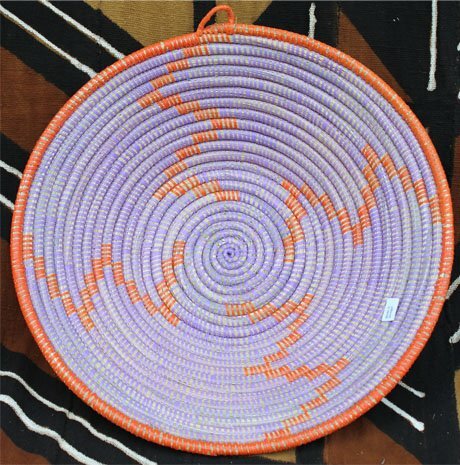 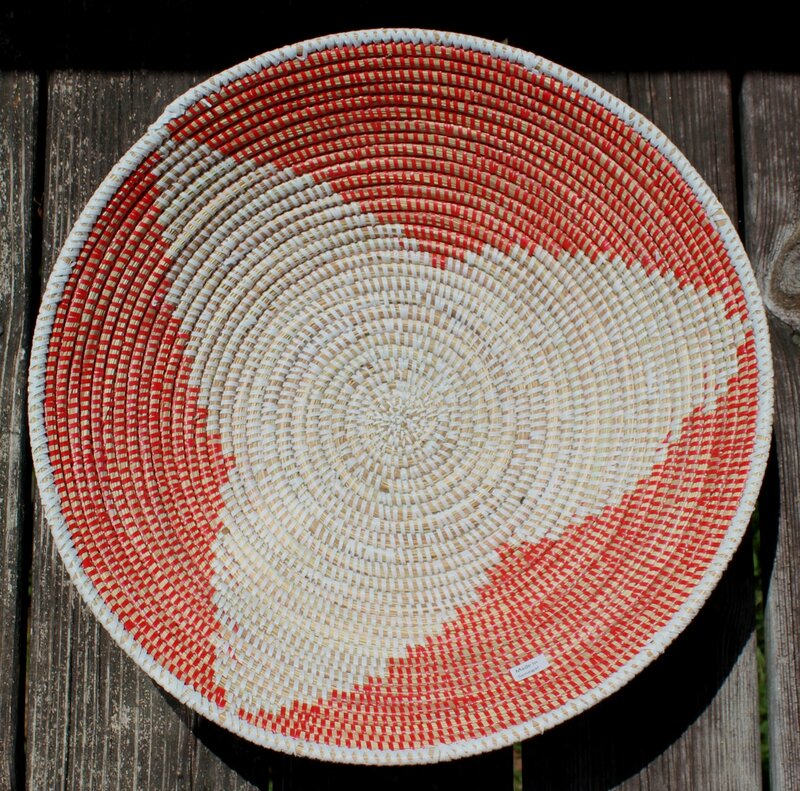 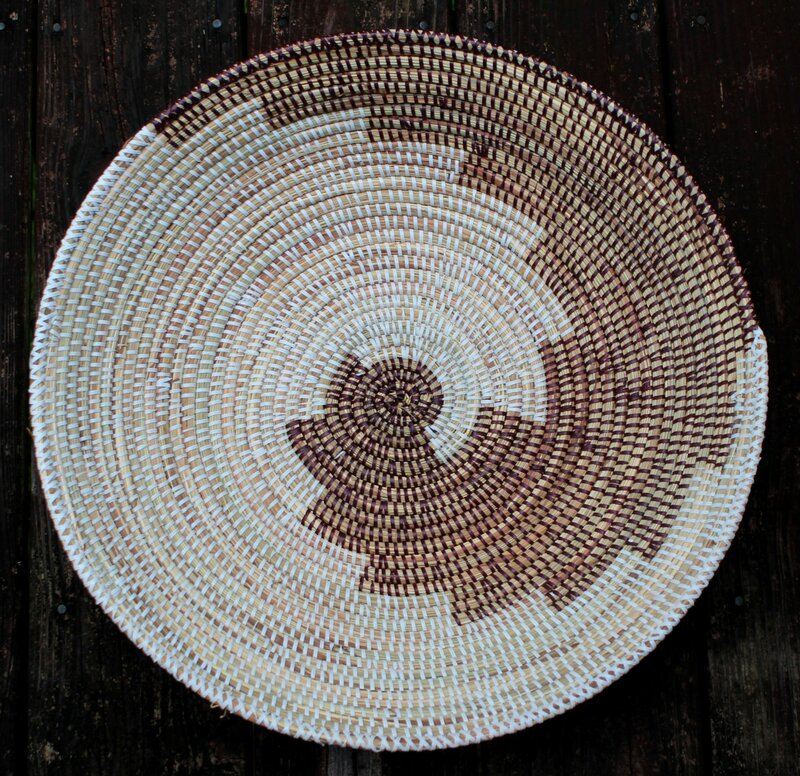 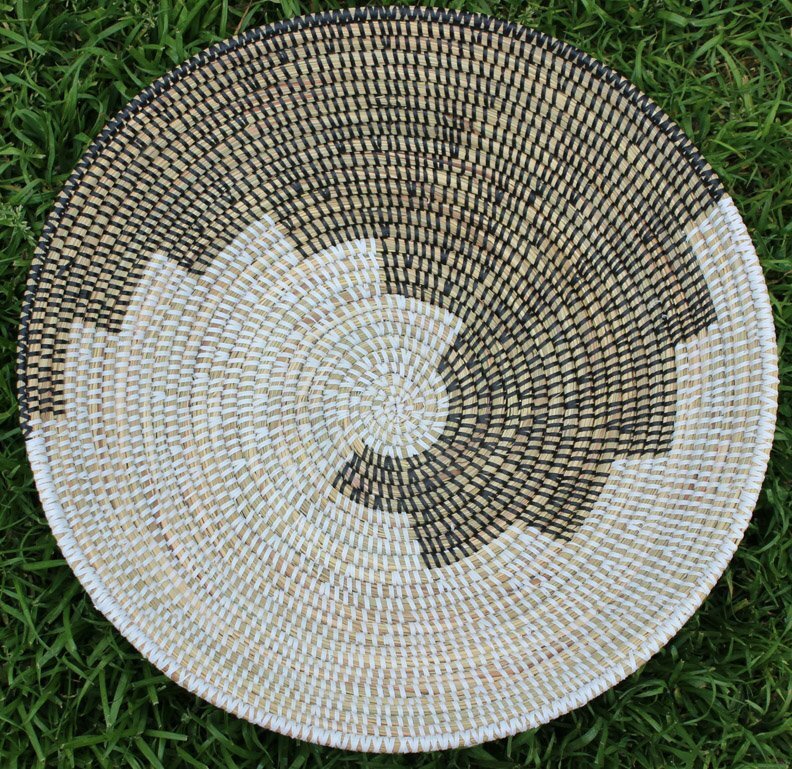 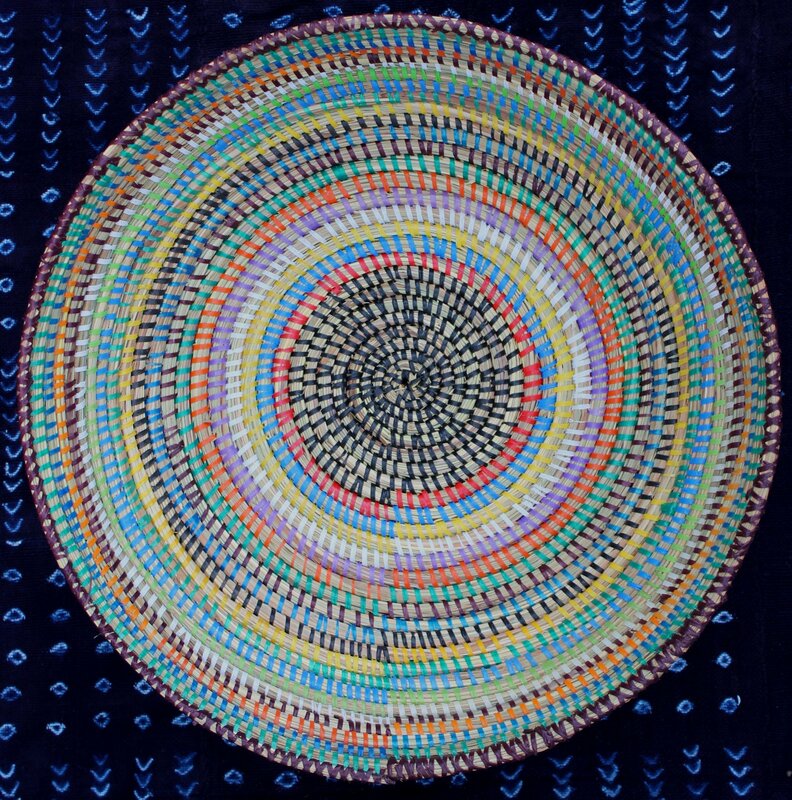 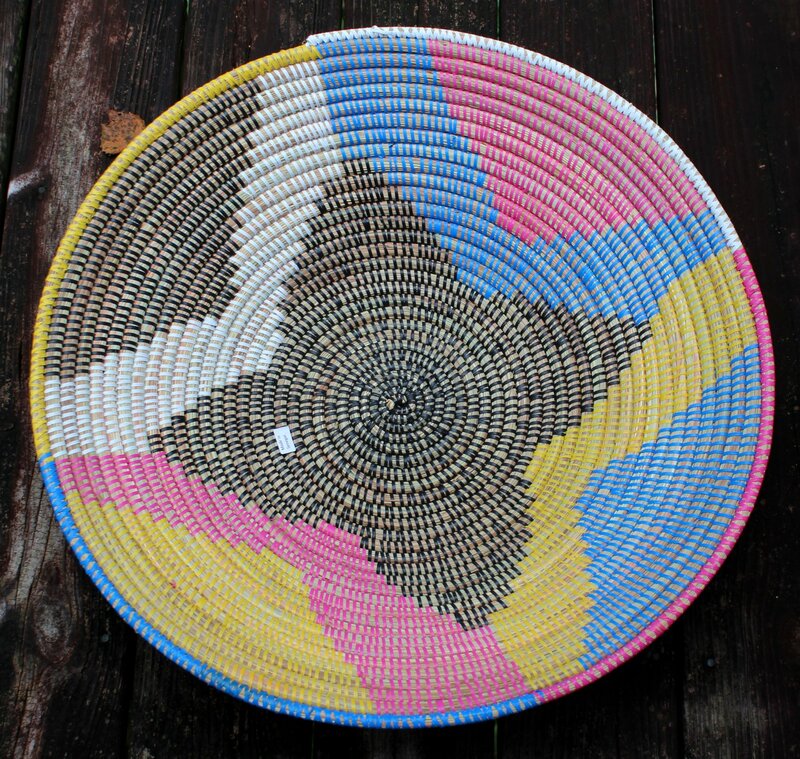 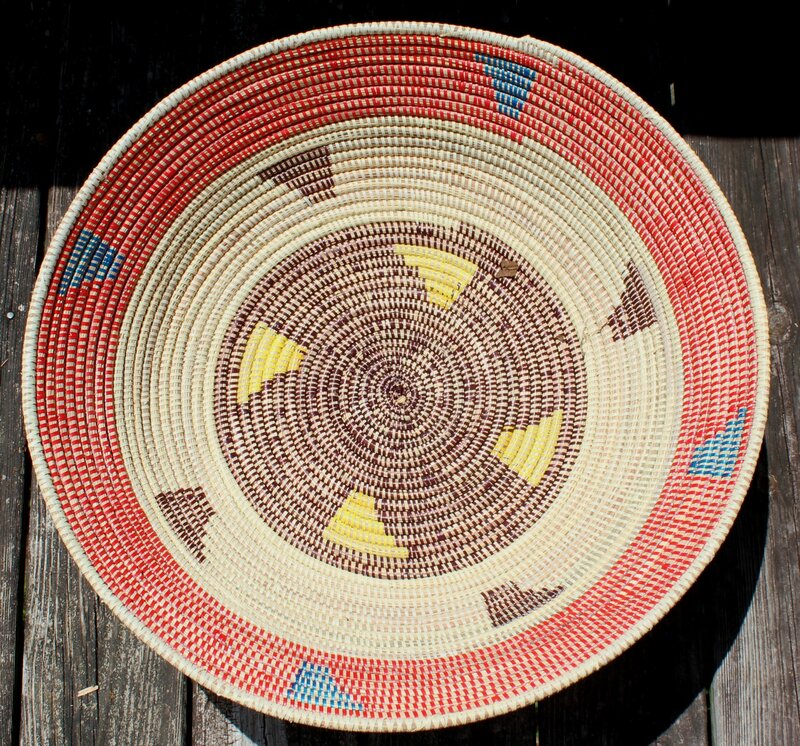 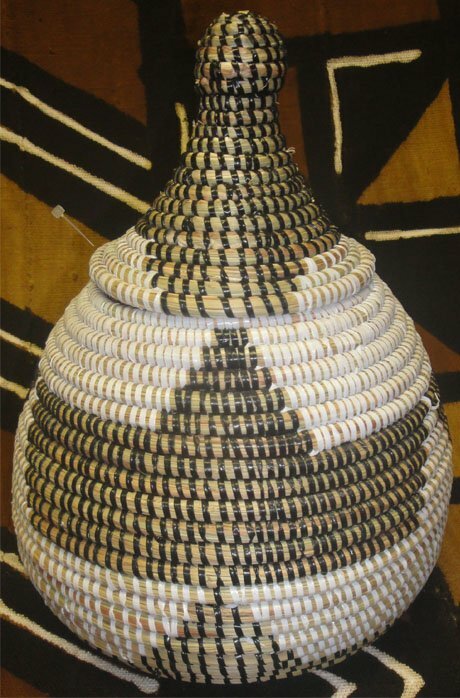 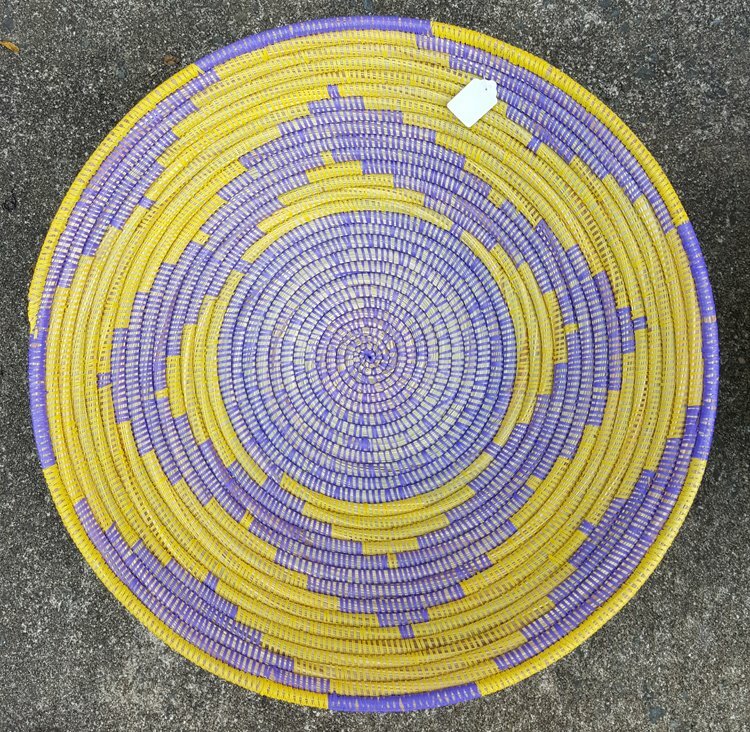 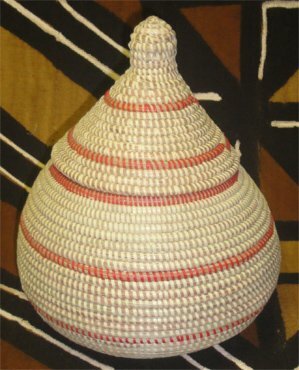 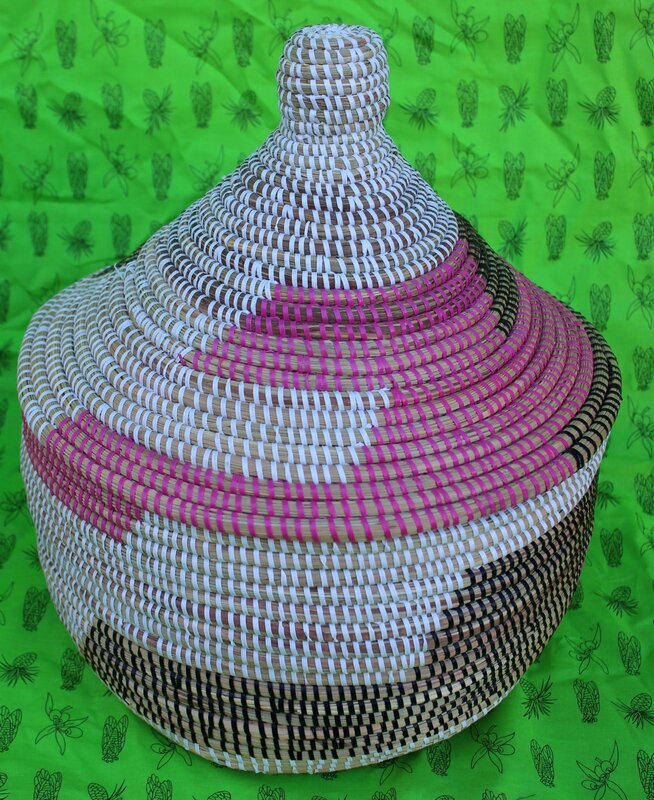 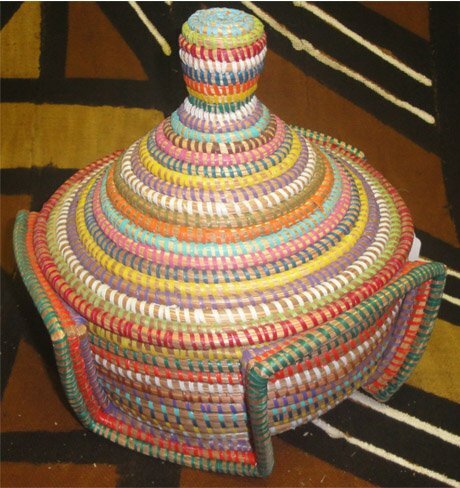 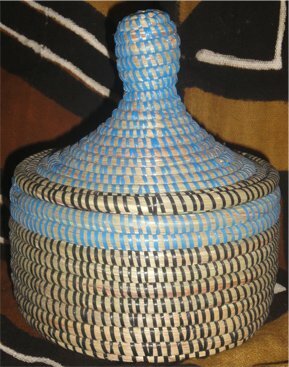 Basket weavers from the region of Thies, Senegal make these beautiful baskets from coiled grass woven with colorful plastic tubing, recycled from a plastic mat factory. 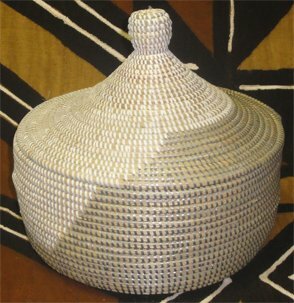 Basket sizes range from small open baskets to large lidded hampers. 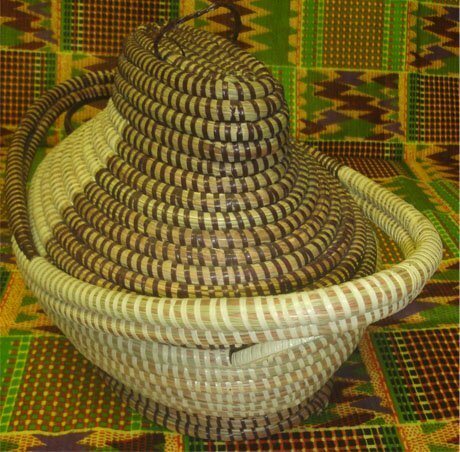 You will enjoy the beauty and practicality of these handsome creations from the country we had the opportunity to once call home.